The Industry Dance Academy - A Gem Located in Sherman Oaks! The Industry Dance Academy has opened in their new location in Sherman Oaks, CA! Set up by a team of professional dancers, the Academy was founded as a school in Los Angeles to bring the art of dance to children in the community. The Industry Dance Academy provides dance classes in the typical range of Ballet to Jazz to Tap to Hip-Hop and so on, but also sets up specific skill ranges, incorporating children’s classes even to more intensive classes for young adults for both boys and girls. 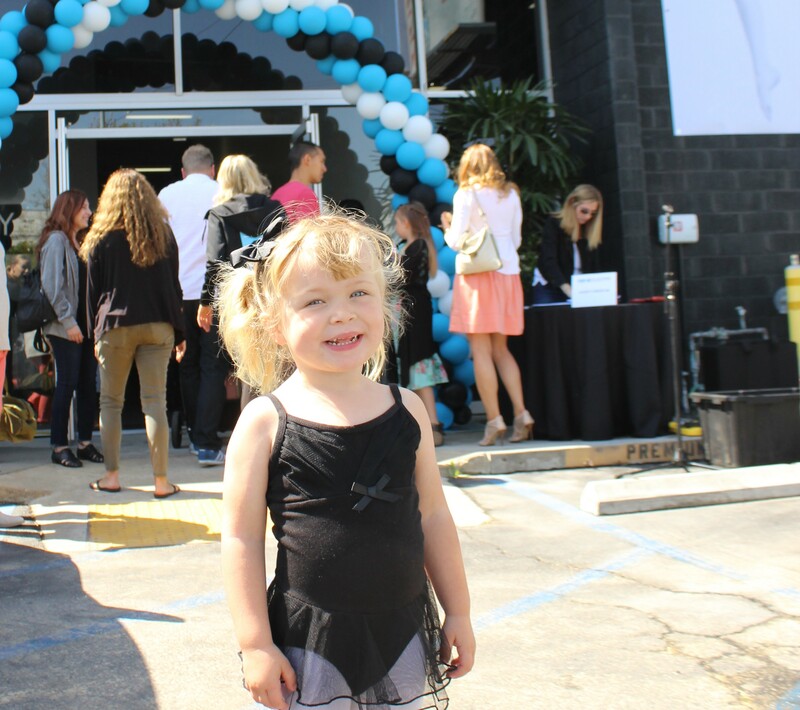 On April 28, my family and I were invited to the grand opening of Industry Dance Academy’s brand new, state-of-the-art facility in Sherman Oaks, CA. After hearing from the owners, the ribbon was cut, and we were invited to watch performances by the academy’s junior and senior classes. The performances were absolutely phenomenal from some very talented young dancers, with choreography incorporating ballet, contemporary, and modern dance styles. Afterward, all the children were invited to classrooms themselves for their own lessons. My daughter Amelia practiced some ballet stretches and moves with the help of the Academy’s faculty, who remained very patient and dedicated to her, even as she excitedly ran around the room dancing! The new facility is a beautiful, modern building with lovely spacious dance studios, changing rooms, professional lighting and sound systems. They even have a special study room for students who need a space to do homework before and after their dance classes. My daughter absolutely adored watching the dancing, and, for an active toddler like her, it was a no-brainer to immediately look into signing her up! You can look up the class offerings for your little ones if you’re in the Los Angeles area by visiting their site at TheIndustryDanceAcademy.com.